A pensioner has died following a collision between a car and two lorries in Melling, close to Lancaster. 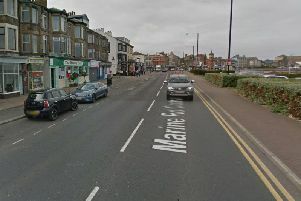 Police were called around 3.20pm on Thursday June 28 to reports of an accident on the A683 Melling Road. A Nissan Almera car had collided with two heavy goods vehicles. The driver of the Almera, a 94-year-old man from Farleton, suffered serious injuries and was taken by air ambulance to Royal Preston Hospital for treatment. Sadly he died from his injuries on Tuesday July 3. PC Shaun Canning of Lancashire Police said: “These are tragic circumstances and my thoughts are with the family and friends of the man involved.